If you’re working on a start-up or have an established company, there will come a time when you’ll need to evaluate your competitors. There are three components to a good competitive analysis: (1) defining the metrics and identifying the competitors you’re comparing, (2) gathering the data, and (3) the analysis. [NOTE: This post is a shorter version of a post I wrote for my personal blog last week. You can read the longer post – which goes into much more detail about evaluating your competitors when doing competitive analysis and compares TechCruch and Mashable to illustrate each of the tips]. How do you begin? What are the relevant factors that you should be comparing? And what conclusions can/should you draw from the data? 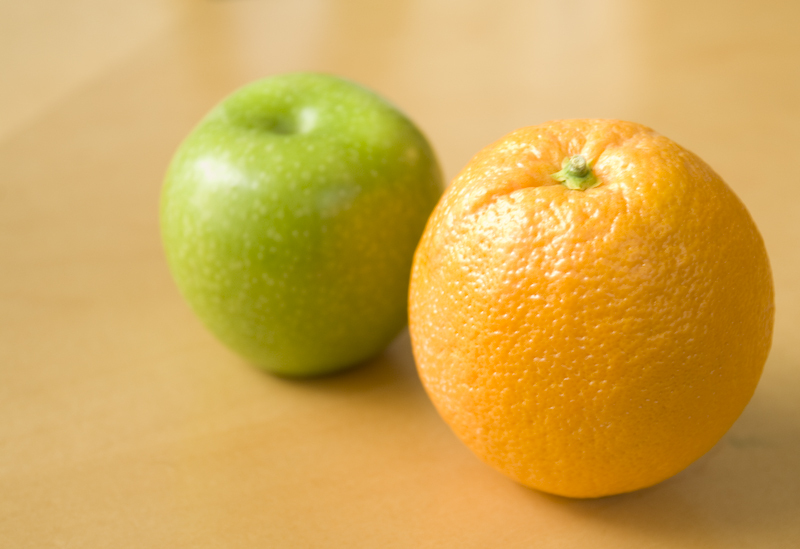 Below, I offer 10 tips (from my own experience) for evaluating your competitors. Remember that this post isn’t intended to be the complete guide to competitive analysis – I wanted to share a bit of what I’ve learned and to help you build a foundation. 1. Define WHAT metrics are important. Before you start looking at data, you must understand what metrics are important. Are you interested in comparing revenues? Unique visitors? Total visits? Traffic rank? Pick a set of metrics that are important to you and measure the data based on those metrics. If you pick the wrong metrics, you can still make a competitive analysis – but it will not be particularly meaningful to you. Don’t worry if you’re not sure whether you’ve defined all of the relevant metrics. As you start looking at the data, you’ll no doubt see other good comparisons. 2. Look at recent trends. Recent trends are important because they paint a picture of what’s happening now. This is particularly important if your start-up is brand new – since you won’t have any historical data for comparison. Use a tool like http://www.compete.com for this comparison. 3. Evaluate historical trends. Historical trends are important because they help you to understand not only the speed of growth but also to see if the same events impact both entities equally. For example, if two competitors are in the same industry you might see complementary growth spurts and down spurts. If there are down spurts, you’ll most likely want to understand the causes of the dips. Were the dips caused by external events unique to the entity you’re evaluating, or something else that should have impacted everyone? Were the events one time events (such as a hurricane) or annual events (such as the holidays in December). 4. Don’t Forget Monthly and Annual Growth. You’ll also want to look at the monthly and annual growth. Rapid monthly growth is meaningful, but can be deceptive if the annual rates paint a different picture. 5. Challenge Your Assumptions. It would be easy to stop here. But if you’re looking for a meaningful comparison, you must challenge your assumptions. You can, for example, assess visits – as opposed to unique visitors – if you picked unique visitors as your metric. 6. Look For Confirming/Dis-confirming Data. To properly understand how your company stacks up against a competitors, you have to assess different types of data. Your revenue model could provide a frame of reference. For example, if your revenue model is based on advertising server-up during visits to your site, you’ll generally care more about visits than unique visitors. If your revenue model is based on advertising in an email newsletter or via RSS feeds – you’ll want to compare the number of subscribers. Why is confirming/dis-confirming data relevant? It’s important because it can present a different perspective about growth and relative size. After all, there are many different metrics, and multiple metrics can be meaningful to your comparison. Don’t assume that one metric can tell the whole story. 7. Dig Deeper. Don’t settle for basic information. Look at all available information to confirm or disprove your conclusions. Use a tool like http://quantcast.com. Quantcast directly measures more than 10 million websites – most respected websites use Quantcast to measure their traffic. Quantcast will give you web analytics that you won’t typically find in your own analytics reports – and will provide some interesting analytics about your competitors. Other tools can give you insight into search traffic to your site. For example, we want to know how we rank for terms such as logo design and web design and so we compare our rank for those terms to those of our competitors. We also look at broader terms, such as graphic design to see how we compare there. 8. Incomplete Information Can Be Useful. Quantcast allows site owners to share whatever information they’re comfortable sharing. So – you’ll find lots of data about some sites, and less data about other sites. Don’t worry. Even incomplete information is better than no information – so take what you can find. 10. Repeat. Good competitive analysis takes effort. You can certainly learn a lot by doing it once, but you’ll learn more more by making competitive analysis a regular part of your analytical activities. Have a question or want to share your own tips for competitive analysis? Let’s discuss in the comments. Start-up Tip: What’s Your Revenue Model?